Graphis Gold Award - Restaurant Logo Design by ASTRALCOM | ASTRALCOM - Content Strategy, Conversion Marketing and Customer Acquisition. 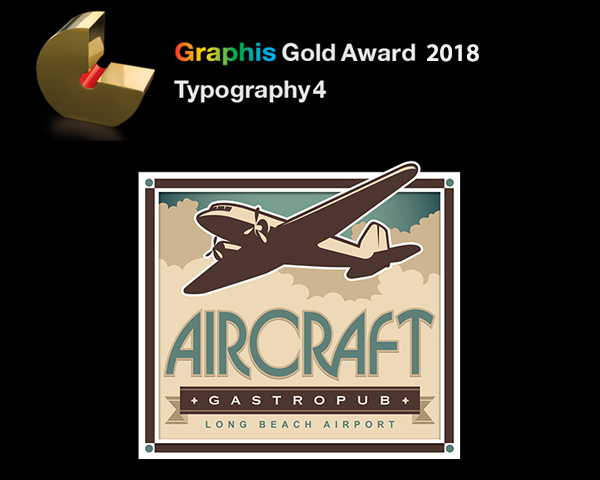 Graphis Gold Award – Restaurant Logo Design | ASTRALCOM – Content Strategy, Conversion Marketing and Customer Acquisition. Creating a new identity is always an adventure – for us and for our clients. As any agency will tell you, it’s a process of discovery. Ultimately that discovery process is designed to bring out the essence of that company. That’s where things like font, colors, layout and other sublime things come into play. Bill Aitchison, Executive Creative Director at ASTRALCOM boils it down nicely; “Southern California has a rich history in aviation. Our brand identity for Aircraft Gastropub celebrates that history.” When it’s all done just right, the result is a beautiful work of art that conveys the essence of a brand. Sometimes, it also wins awards. Like in the case of Aircraft Gastropub. Winning awards for our work isn’t what we’re after. Results are what matter. If you think like we do, then we should be working together. Contact us and let’s create something outstanding for your brand.